Most of us do not give our urine much thought. A quick flush and it is disposed of and the story is over for at least the next few hours. The urine itself and urinary habits can serve as important signs of kidney and urinary tract problems. 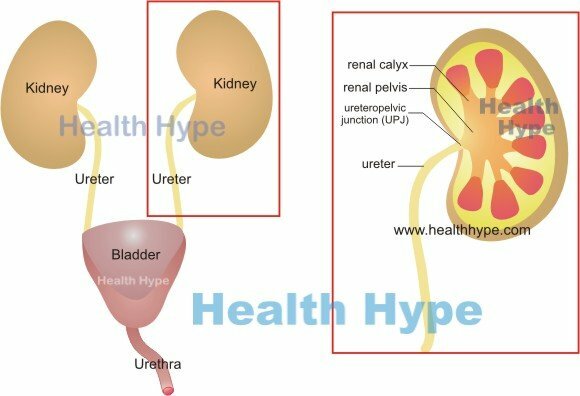 In fact, your urine can also tell you a lot about other aspects of your health beyond the kidneys and bladder. You do not have to spend copious times inspecting your urine and trying to reach a conclusion of where the problem may lie. The important aspect is knowing what is normal and what is not and seeking medical attention if something seems amiss. Your kidneys filter incoming blood, removing wastes and excess water to form urine. The urine produced by the kidney then flow down the ureters to the bladder where it is stored. Once the bladder is full or close to it, you feel the urge to urinate. When the setting is appropriate, a person can initiate urination. The urine then passes out of the bladder, through the urethra and is expelled in to the environment. Urination continues with little effort until the bladder is empty or at least close to it. Here are some of the normal features of urination and signs that may indicate an abnormality. The normal color of urine varies from clear to yellow. Ideally it should be a pale yellow at most but even a darker mustard yellow may still not indicate a problem. However, it is when your urine is other colors that you should be concerned. Urine should not be a very dark, almost brownish yellow. Neither should it be red, orange, brown or black. Apart from color, your urine should also be clear and not cloudy. A red to orange color may be a sign of blood in your urine. This is known as hematuria. In most instance blood in the urine is not visible and has to be detected by certain diagnostic tests. But when it is overtly red in color, then it is concerning as this may indicate massive blood loss in the urinary system. Sometimes beets, blackberries and other fruit as well as some medication can discolor urine and even make it red in color. Most people will urinate about 6 times in a day. Some people will urinate a little more and others a little less. When the bladder is full, about 300mL (10 fluid oz) to 500mL (16 fluid oz) of urine is passed out during urination. Collectively most people will excrete about 1 liter (33 fluid oz) to 2 liters (67 fluid oz) of urine daily. Normal daily urine output is actually considered to be above 400mL (13.5 fluid oz) of urine. If you pass less than 400mL then it is known as oliguria. This is abnormal and needs to be investigated. If your urine output is less than 100mL (3.3 fluid oz) or there is no urine output at all in a day then it is known as anuria. It may be due to a host of causes ranging from dehydration and heart failure to kidney disease and urinary tract obstruction. At the other end of the spectrum is producing and expelling too much of urine. This is known as polyuria and means that you are excreting more than 3 liters (101 oz) of urine in a 24 hour period. Since the human bladder only holds between 350mL to 500mL of urine, large volumes of urine production in a day is seen as frequent urination. Everybody passes extra urine when it is cold, after drinking large amounts of water or when consuming diuretic drugs, caffeine or alcohol. However, polyuria is a symptom of certain diseases where there is consistent expulsion of urine exceeding 3 liters per day. Polyuria may occur in diabetes mellitus (sugar diabetes), diabetes insipidus, Cushing’s syndrome and excessive administration of a saline IV drip. We all wake up every now and then to urinate at night. But it should not be occurring every night. In fact it is considered somewhat of an abnormal urinary habit to awake at night to pass urine, be it once or several times. Urine production decreases while we sleep and the bladder can hold enough of the minimal urine production during this time without needing to empty. If you have emptied your bladder properly before bedtime, you should not need to pass urine for about 6 to 8 hours while you sleep. Awaking at night to urinate is known as nocturia. It is a common symptom in conditions like diabetes mellitus. While the odd episode of waking at night to urinate is not a concern, if it is becoming more frequent and you have to awake several times at night to pass urine, then speak to your doctor. While you may feel urine as being warm or even hot, it is not normal to feel a burning sensation during urination. Similarly pain during urination is abnormal. If you are experiencing any of these symptoms then you need to see a doctor as soon as possible. One of the most common causes of burning and pain during urination is a urinary tract infection (UTI). The reason for burning urine is that the the urinary tract is inflamed. The movement of urine through it during urination intensifies the inflammation further leading to a burning sensation or pain. It is not that the urine composition has changed in a way that makes it more toxic to the urinary tract and thereby causing burning. Burning and pain can persist for a short while after urination as well. The more full your bladder, the less effort it takes to pass urine. However, once started there is little effort that is needed and urination continues until the bladder is empty. If you find that you have to strain to pass urine and the stream is weak then this is abnormal. One of the main reasons for straining is an obstruction to urine flow like with an enlarged prostate in men or nerve and muscle problems of the bladder. Sometimes it is necessary to wait and put in a little effort to get urination started when the bladder is not completely full. Some people are bladder shy and cannot initiate urination if the setting is not appropriate. However, difficulty starting urination when your bladder is full and you are in a comfortable setting is another abnormal urinary sign. It may occur for many of the same reasons as straining to urinate.